This is a guest post authored by Daiki Suzuki, consultant of Tokyo-based incubation consultancy / startup-focused investment firm Archetype. (VCs) or emerging startups in Silicon Valley to introduce the latest local business trends. The event program was mainly centered on a keynote speech and lecture sessions, and a pitch competition was scheduled in the last half. 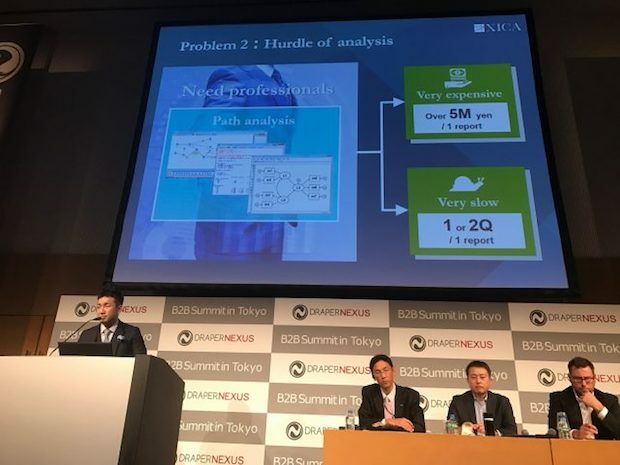 In the opening speech, Akira Kurabayashi, Managing Director of Draper Nexus, said that B2B startups have been attracting attention in Japan based on the technological development in the cloud, mobile devices or IoT (Internet of Things) field, in addition to social changes including the aging society. According to the data gathered since 1995 in the US, B2B investments there exceed B2C (business-to-consumer) ones both in exit probability and return amount. 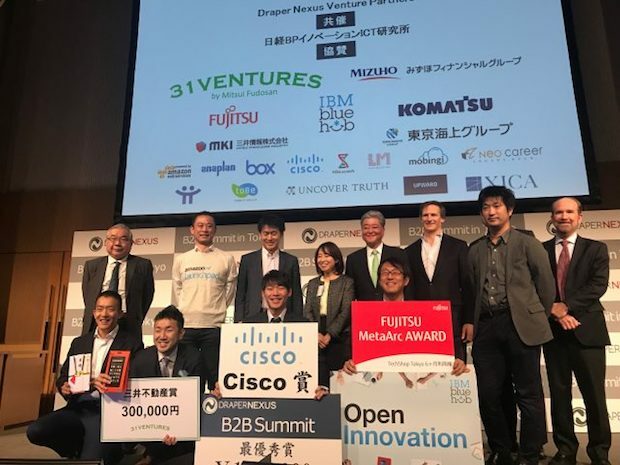 In the pitch competition, five Japanese startups presented their own businesses to judges including top tier VCs in Silicon Valley. The judges in the competition were as follows. Mobingi developed SaaS (software as a service) enabling life cycle management of the cloud. Since its launch back in 2015, the service has been showing a monthly profit of $100,000 and a monthly growth rate of 20%, but on the other hand the cancellation rate remain zero. 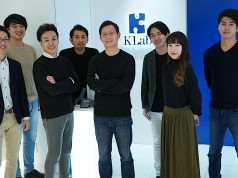 The firm focused on a demand generated from the knowledge gaps between engineers and non-engineers, and started providing a browser-based software allowing easy operation of the cloud environment without regard to private / public ones, which were conventionally operated by specialized engineers through the command-line interface. The service also enables cloud environment management such as performance comparison or auto-scaling. It is providing these services as OEM (original equipment manufacturer) for major cloud providers as well, and the Mobingi team said that they aim to target large enterprises like Fortune 500 in the future due to shifts in their cloud strategies to public ones. 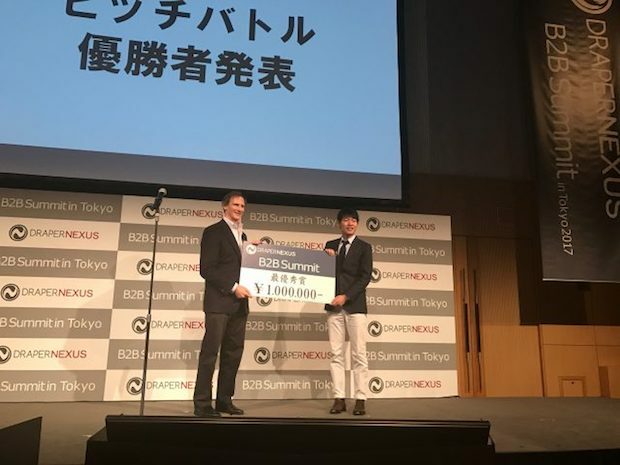 As a result of judging for the pitch competition, Mobingi won the top award with cash of 1 million yen (about $8,800). The judges evaluated the traction of the product and the market size highly, to vote unanimously for it. 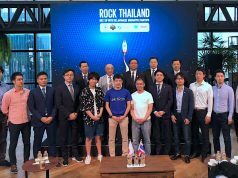 One of the judges commented that he expects the firm’s potential as a startup capable of aiming for global markets although few Japanese players are capable of taking on the infrastructure sectors. XICA with the stated mission to “bring suggestions to all the data” provides a marketing support SaaS from a statistical approach. The total ROI (return on investment) of marketing continues to deteriorate because there are two big barriers in marketing: an explosive increase of media and difficulties in analysis. Complicated analysis is necessary for improvement of ROI, but requires specialists and large costs. XICA Magellan enables optimization of daily operations through data gathering and analysis of track in addition to conversion calculation of promotion budget allocation which can be handled even by general marketers without specialized knowledge. 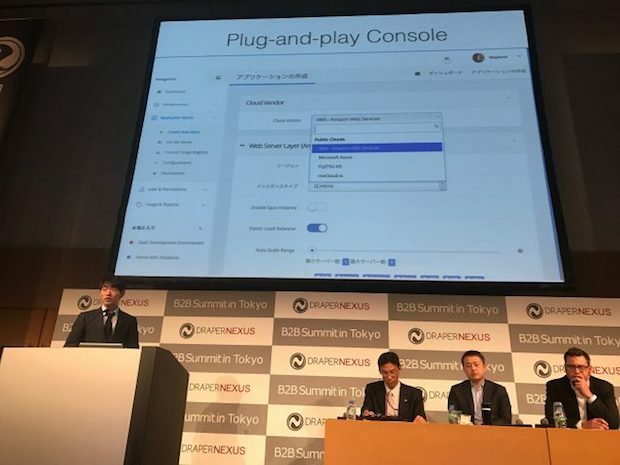 The service has already been implemented to a lot of major Japanese companies. 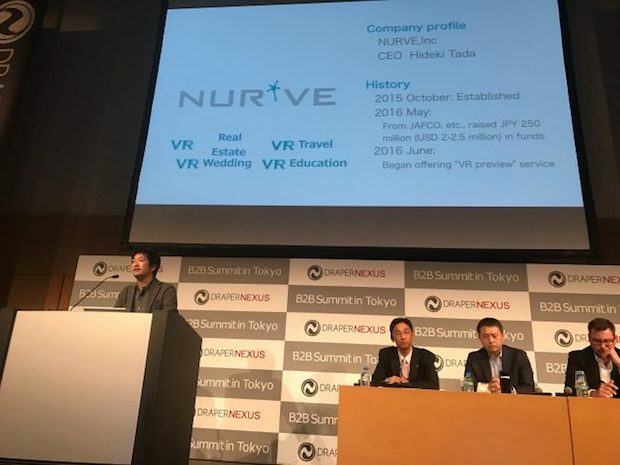 Nurve provides a SaaS allowing VR (virtual reality) space creation without any specialized knowledge or experience, mainly for real estate business players. Private viewing is important for house selling promotion, and this service can reduce the users’ time spent or trouble by utilizing VR for virtual viewing. The service supports QR code reading for property information and provides specialized VR devices too. It has already been used by many major companies as the premium service, and the team also aims the market of shopping sector by enabling pre-experiencing of products / services in VR spaces before purchasing, as well as the real estate business in the future. 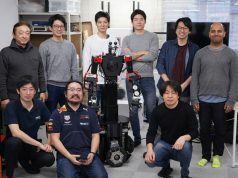 V-Cube Robotics provides a total solution with drones that can be used in worksites basically requiring on-site human operators, such as disaster recovery, factory maintenance or infrastructure monitoring. 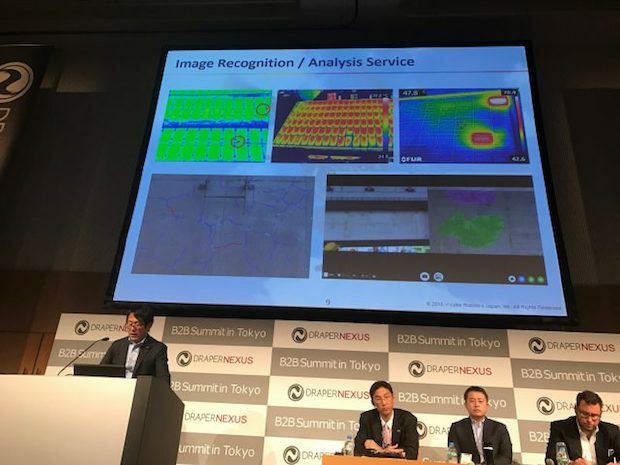 It provides not only drone-related hardware but also a communication system enabling streaming of images photographed by drone-mounted camera to distant places in real-time. For example, local government or fire authorities can confirm the situation in disaster-stricken areas in real-time and make decisions quickly when an earthquake occurs. The take-off and landing of drones are completely automated and the firm also provides a fault detection service in the monitored areas. 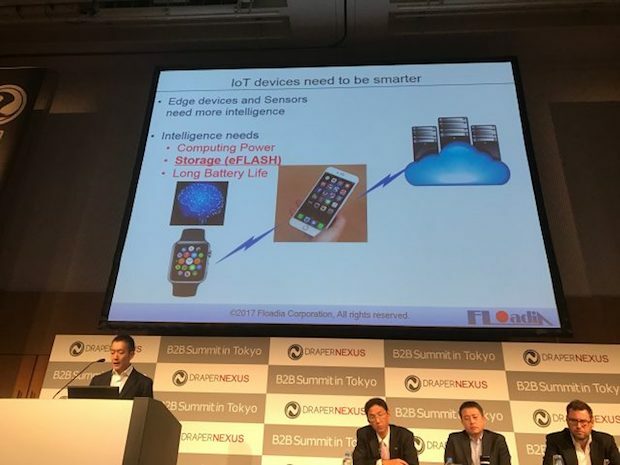 Floadia developed a small-sized, low-power-consuming yet non-volatile flash memory which will be essential in the IoT era. It is expected that billions of IoT devices and tens of trillion of sensors will exist in the world in the future, but there is a certain limit for central servers to process all of the communications. Therefore, smaller and more intelligent IoT devices are required. The firm succeeded in reduction of power consumption by directly connecting the flash memory which is difficult to be handled by digital circuits with its own technologies. In a heartbeat monitoring device for example, the memory can extend the battery service life by entering into sleep mode in the time between every heartbeat. Along with ARM, Floadia is engaged in design of flash memory with the fabless and license provision model.